My Name is Rocio Fields and I live in Wilton, CT. The love of triathlon has lead me to invest my time in learning the science behind endurance sports such as triathlons. I treat my athletes with the up most respect and provide coaching services in a holistic manner. My focus is taking the athlete to point A to point B in achieving their goals via an evidence-based approach. I am an Ironman Certified Coach, a NASM Certified Personal Trainer, a Fitness Nutritional Specialist and a RN,BSN. I have been involved with the triathlon world since 2009. 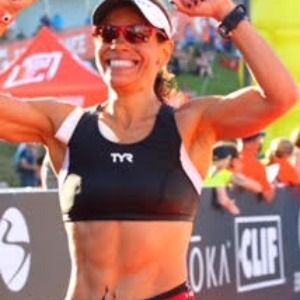 I am a Certified Ironman Coach, a NASM Certified Personal Trainer, Fitness Nutritional Specialist and a Registered Nurse. Having experience various distances from full Ironmans to sprint distances numerous of times, I can appreciate it when athletes are willing to take on such an endevour. An attitude of willing to work. Success. Coach Rocio Fields has been notified of your message.